Wilhelm Faulkner seems to have it all. He's smart, good looking, brave and a decorated fighter pilot from World War one. He's also engaged to the beautiful and talented Maria Dubois, his soul mate. Only problem is its 1930's Germany, he's half German and she's Jewish. When Adolf Hitler and the Nazis offer Wilhelm the chance to restore Germany's honour, he finds himself on opposite sides to Maria in the most savage conflict mankind has ever known. When Wilhelm and Maria meet by chance in Paris in 1944 they unwittingly set in motion a chain of events which will test their love to breaking point. 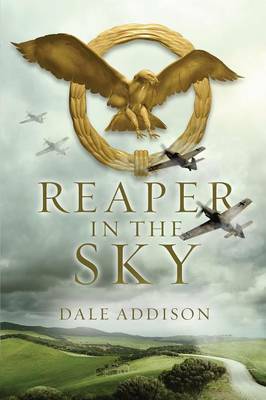 Wilhelm is forced into proving his loyalty to his Nazi masters by leading the most daring bombing mission of World War Two. At the same time, Maria must fight for her survival in a concentration camp before she and Wilhelm will confront Hitler's dreaded SS. A single decision made that day will have terrible repercussions which will return to haunt both of them with a vengeance many years later.